New York County Family Court at 60 Lafayette Street in Manhattan. Once removal cases reach this building, parents get a lawyer. But that's not true in many places around the state. And some believe parents need legal assistance during key phases of the investigation that occurs before a court date. The Child Welfare Organizing Project sits in a corner of the Clinton Houses between 109th and 110th Streets in East Harlem, a place where parents can get advice from other parents when they are under investigation for abusing or neglecting their children. It’s one of the few places such parents can go because during an investigation, which can last up to two months, they have no right to a lawyer, nor are they typically told what rights they do have. In a dimly lit backroom with a few toys and a child’s drawing of a valentine on the wall, I speak with a handful of mothers with recent child welfare involvement. They ask that I not use their names for fear that doing so could lead to more trouble. One mother, who wishes to go by Stella B., says she never had the opportunity to be properly investigated because her children, 8 and 17, were removed on an emergency basis and placed with a relative after she was kidnapped by her ex-boyfriend and held for eleven days—a fact confirmed by a letter from the Manhattan district attorney’s office—while child protective services “indicated” a case of neglect against her. A case is deemed “indicated” when investigators contend they have found enough evidence to support the claim that a child has been abused or neglected. Because of that indication, her children were kept out of her care for four months, and even after their return, her case remained indicated until recently, when she appealed the finding. She allows me to look at the document from New York State’s Office of Children and Family Services that shows the judge’s determination, several years after the fact, that being kidnapped did not make her guilty of neglect. She was provided a lawyer only after ACS took custody of her children and indicated her case. A second mother acknowledges that she crossed a line when she struck her daughter with a belt. Still, she’d hoped officials at the child safety conference she was invited to attend would hear how difficult her life had been at that moment, and understand that this was not her norm. Lawyers are not permitted at child safety conferences, which are supposed to provide parents and ACS an opportunity to work collaboratively outside the adversarial relationship they’ll find themselves in if a case goes to court. But the conference didn’t feel like collaboration, the second mother says. “When I went to the conference,” she explains, “I brought a letter from me, 10 years of good reports I’d had as an assistant teacher, character letters. But the facilitator said, ‘We don’t need it.’ I felt like I was confessing my sins to a priest who didn’t want to hear from me.” After the conference, ACS placed her name on the State Central Registry as a child abuser—similar to a sexual abuse registry—where it will stay until her child turns 28, unless she can convince a judge at some later date that she deserves to have it removed. Because the registry bars people from working with children, she lost her job; she now works nights as a security officer. She never saw a judge nor spoke with a lawyer. Eva Santiago is a parent organizer at the Child Welfare Organizing Project (CWOP) who oversees the running of the office. In 2011, a Child Protective Services (CPS) investigator and a police officer came to her door and told her that her younger son had a bruise on his ear, and that someone had reported her for neglect. Thinking she had nothing to hide, she told them everything: about the different diagnoses her son, 6, had been given, and that he was on the Autism Spectrum. She explained how, despite her modest salary, she’d gone above and beyond to get him services, from early intervention to ABA therapy. She said that she was still searching for the right services to meet her son’s needs, and that without them her son often had conflicts at school and at home. She told them, too, about the kerfuffle the day before. She’d left her son napping to go down two flights to the laundry room; he’d woken, and bolted out the door; her older son, 13, had tried, unsuccessfully, to intervene; in the lobby, the doorman had stopped her son and sent him home. No physical violence had occurred, she said. Her best guess was that her son had gotten the bruise in school, where he sometimes provoked fights. But at the child safety conference, the investigator, the conference facilitator, the father of her younger child and his girlfriend all seemed convinced that her older son had hurt his brother and that she’d failed to protect him. At the end of the conference, the New York City Administration for Children’s Services found her neglectful for the time she’d spent doing laundry, a decision, she says, that had a profound effect on her relationship with her son for years after, and caused a rupture in her children’s relationship that has yet to heal. Santiago, too, never had a lawyer. Advocates for child welfare reform have long decried the fact that parents in child protective investigations are afforded fewer rights than suspects in criminal cases, despite the fact that what’s at stake can be greater. “People say, ‘Take my liberty but I want to keep my children,'” explained Emma Ketteringham, managing director of The Bronx Defender’s Family Defense Practice. In the past 40 years, as the number of reports of maltreatment has grown 50 fold nationwide, leading nearly one out of every 20 children to be the subject of an investigation every year—similar to ballooning incarceration rates— parents, advocates and child welfare systems themselves have become increasingly alarmed at the impact these investigations have on families, and at the racial and class disproportionality of who’s affected. In New York City, three-fourths of children in foster care are Black or Latino, while another 18 percent are classified as of unknown race or ethnicity. Only 6 percent are White. New York City’s child welfare system has garnered praise for keeping its foster care rolls at an historic low even while the number of children in foster care nationally rises, but critics say not everything is better in New York, especially when it comes to investigations. 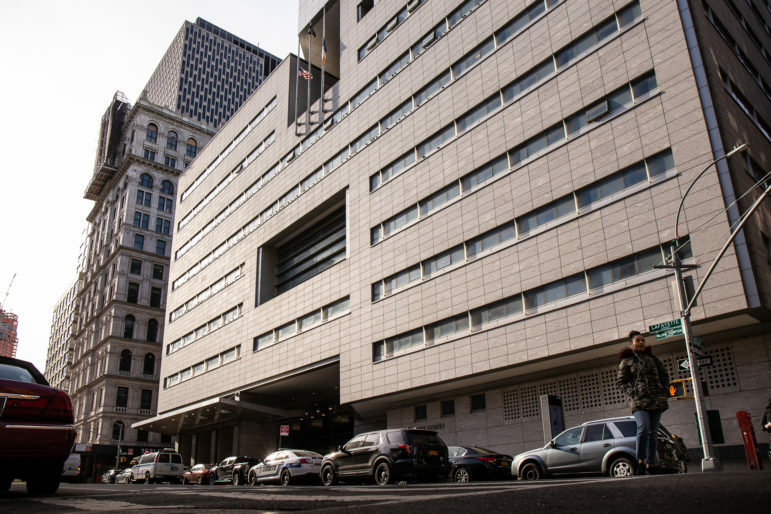 They point to the fact that in New York City, roughly half of all removals are made without judicial oversight, sometimes because children are deemed in such imminent danger that investigators can’t wait for a judge’s approval, but often because the investigations happen at night or on the weekend when courts are closed. They note, too, that New York State is one of only seven states plus the District of Columbia where the lowest standard—”some credible evidence”—is all that’s needed for parents to have a case indicated for abuse or neglect and their names put on the State Central Registry. In New York City, 40 percent of all investigations end with an indication, compared to 20 percent nationwide. One issue central to the debate over due process protection during a child protective investigation is whether parents should be provided a lawyer—or any means to access legal advice—during that probe. Right now that right only kicks in when a case goes to family court—and even then, in many parts of the state, it is a right in name but not always in practice. That issue became the focus of discussion last year when New York State’s chief judge, Janet DiFiore, established a Commission on Parental Representation in February 2018, shortly after executives in Monroe County turned down a $2.6 million grant to strengthen parent representation in that county. Part of that grant would have provided indigent parents counsel during an investigation and put Monroe County at the cutting edge of parent representation. A memo released this November by the federal Children’s Bureau recommended early access to counsel as one way systems could avoid “unnecessary parent-child separation,” but to date, across the country, access to counsel during a CPS investigation is almost non-existent. It was raised again in New York City in November, when the City Council held a hearing on parent-child separations through foster care, Council members asked ACS officials pointed questions about access to legal counsel during an investigation, and lawyers and parent advocates testified about the need for it. In a statement to The Daily Record, Monroe County spokesman Jesse Sleezer explained: “The program itself, although well-intentioned, would have injected lawyers into cases of abuse and neglect much earlier, potentially intimidating child victims and limiting access by CPS workers who would otherwise assess and monitor the child’s safety.” Sleezer did not respond to requests for comment for this story. But the decision angered not just parents and their advocates, but also some judges, who countered that lawyers for parents don’t have access to children and couldn’t keep investigators from monitoring children’s safety, and that the county’s attitude spoke volumes about why parents need protection. They noted that parents of means can already hire lawyers during an investigation, and that when there’s an allegation of excessive corporal punishment or sexual abuse, parents currently have the right to counsel only if they have already been charged in a criminal case, despite the fact that joint questioning by a CPS investigator and a detective can lead directly to an arrest. The commission specifically invited comments on the merits of parental representation during an investigation, and speaker after speaker argued for it. That risk exists in almost every aspect of an investigation. For example, parents under investigation are routinely asked to sign a blank HIPPA form giving CPS investigators authority to look at any health or mental health records that anyone has ever kept of them. Parents do have the right not to sign, or to sign a limited HIPPA. But refusing to sign—just like refusing to answer questions or allow CPS access to one’s children or one’s home at any time of the day or night—can contribute to a decision to remove a child. In New York City, parents who can’t afford a lawyer are given one the day they walk into family court. This isn’t always true in other parts of the state, despite a state law that guarantees them one once the case goes before a judge. Even advocates for parents acknowledge that there are important differences between criminal justice and child welfare, the most fundamental being that children’s safety is at stake. When police violate a suspect’s rights to gain evidence, a judge can suppress that evidence. But no court is going to return a child to a home where there are questions of safety because of due process violations. There’s also no Supreme Court ruling like the one that established Miranda Rights. Such a ruling would not only force the hand of child welfare agencies; it would also provide them cover. Without it, agencies would have to justify to the public and to their own workers why the agency took money from their budget to protect parents rather than to strengthen investigations. That justification would undoubtedly prove perilous after the death of a child known to the system. In New York City, the number of families under investigation grew after the city experienced its own horrifying child deaths in 2016. Given the rise in investigations, increased surveillance through court-ordered supervision or requests that a parent “voluntarily” enroll in preventive services—processes that typically start with indicating a case—is one way that the city has attempted to make sure no child known to the system dies, while keeping its commitment to maintaining the number of children in foster care low. ACS officials say the agency have demonstrated its commitment to protecting the rights of parents and families in other ways as well. While New York City doesn’t provide families with lawyers during investigations, it does provide parent advocates at child safety conferences during investigations. Parent advocates have typically been involved in the child welfare system themselves, or have other relevant life experiences, and are trained to provide resources and information to parents during conferences where a decision whether to remove a child and others are made. And when a case moves to court, and a lawyer is provided, for most parents, it’s more than just an attorney: In the city’s model of parent representation, lawyers working at one of three agencies are supervised by senior lawyers, and supported by social workers and parent advocates—arguably the best model of parent representation in the country. Advocates, though, only show up for one day during the course of a two-month investigation, and the decision to indicate a case often happens before or after the child safety conference, when parents have no one advocating for them. Going forward, the city says it hopes to reduce reports that lead to investigations by strengthening primary prevention. Other jurisdictions are also working to address the impact that investigations have on low-income communities of color. Indeed, Nassau County administrators were so alarmed by their racial disproportionality that they instituted a policy of blind removals through which a panel decides whether to take a child into foster care without knowing the family’s race, ethnicity or zip code. In 2011, before the protocol was instituted, 55 percent of children taken into foster care in the county were Black; in 2016, after the county had the opportunity to fine tune its process, that number dropped to 29 percent. And yet, despite these efforts, no one seems to know how to respond to the fact that reports and investigations only continue to rise nationwide, and that during investigations the conditions that lead investigators to leave children in imminent danger—including the arguably impossible task they’re charged with of predicting future harm—are the same conditions that can lead to the violation of the right of children and parents to the sanctity of their families. Is it possible to protect parents and kids? Whether anything will come of all the talk about strengthening legal rights for parents facing CPS investigations is unclear. Since the City Council hearing, councilmembers have asked advocates for more information about why they believe access to counsel during in investigation is important, and what it might look like, and expressed interest in further exploring the possibilities. New York State’s Commission on Parent Representation was charged with sending an interim report to the chief judge before the end of the year; she is expected to make her recommendations public sometime in January. Angela Burton, director of Quality Enhancement for Parent Representation at the NYS Office of Indigent Legal Services and special adviser to the commission, said the commission has discussed a range of options, some of which fall short of full legal representation. “What the commission heard was that people don’t know what their rights are. They don’t understand the system. The only information they are getting is all from the agency investigating and prosecuting them. What we’re really talking about is access to information, advice and counsel so that people have a better understanding of what is happening to them and can make better decisions,” Burton said. In the meantime, in some small pockets, parents in New York City are already accessing that legal advice. Last year, The Bronx Defenders received a private grant for a lawyer, social worker and parent advocate to provide services to 200 walk-in clients a year under CPS investigation. In just the first quarter of the grant’s second year, Ketteringham told me, they’ve already served 200 clients. And earlier this year, in the shadow of the elevated subway tracks in East New York, using a special grant from the state, Brooklyn Defender Services opened a walk-in center on the ground floor of a block-long building that stands out in the neighborhood for its clean, bright exterior. Approximately 30 percent of all CPS cases assigned to Brooklyn Defender Services from across the borough come from East New York and neighboring Brownsville, two of the poorest neighborhoods in the city. Economos tells me that having help during an investigation can reduce the trauma to children. Sometimes, she says, when parents are reassured that they have an ally, they’re less likely to fight CPS, and more willing to take steps to improve conditions for their children. Often, she says, a lawyer—or a legal team that includes a social worker and a parent advocate—do a social worker’s job, connecting families to appropriate services. Other times, the job is as simple as helping parents provide clear information to a judge on day one if a case goes to court. She tells me about a young mother whose petition stated that she had knives in her shelter unit. But because she obtained help from the center—Economos went over the petition with her grandmother, who was caring for her great grandson on an emergency basis—she was able to show the judge her first day in court that the knives were kitchen knives, not the weapons the petition seemed to suggest, and her son came home. I feel that children are remove from a place that they feel safe .when they cant be with there parents .children are better of with their grand, great grand parents, better place then a foster home .ask a child how he feels. we don’t listen to a child we still have rights. we should have grandparents right thats where our history begins. For years, child welfare officials have looked to better training and deeper resources to reduce mistakes in abuse and neglect investigations. But given the complexity of many cases, experts say, failure may always be part of the picture. The Limits of Protection: Can Mayor’s Push Reduce Child Abuse Deaths? In the wake of two fatalities in early ’14, the de Blasio administration called for better reporting of abuse and neglect. But there is substantial doubt that child welfare investigations can root out real threats to kids’ safety.